Matterhorn Metal Roofing is dedicated to the manufacturing of sustainable & energy efficient roofing materials. While focusing on aesthetic value, their priority is to increase product performance and advantages. Air Vent is leading the ventilation industry with high-performance & innovative vent systems. Founded in 1906, Mule-Hide is one of the leading roofing manufacturers in the industry. They provide contractor seminars, job training, and technical support for their certified contractors. 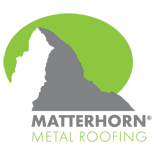 Certified Weatherbond contractors obtain exclusive education & training on the products & installation. They also have access to a 10 or 15 year extended warranty on materials & labor. 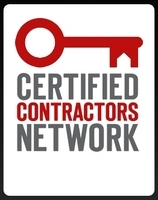 Certified Contractors Network has proven to be the highest quality, and most effective, contractor consulting available to both small and large contractors, offering contracting companies resources and training to grow and improve their businesses even in these difficult economic times. 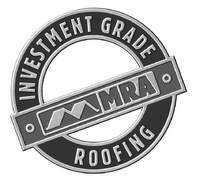 MRA provides assistance to consumers in selecting a metal roofing contractor whom meet the strict requirements of the Quality Contractor Program. The National Association of Home Builders (NAHB) exists to represent the home building industry by serving its members and affiliated state and local builders associations. The NAHB members, who are involved in all aspects of a diversified building industry, create jobs for millions of people and contribute significantly to the economic activity of their community, the nation and the world. Thumbtack connects the right contractor for the right job while taking consideration of location, availability and budget. 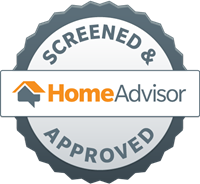 Achieved through membership with HomeAdvisor after one year and having only positive reviews.